Zanu-PF's salary bill has increased substantially after a decision was made to accommodate bigwigs left out of President Emmerson Mnangagwa's lean Cabinet as full time party employees. Mnangagwa, who is also Zanu-PF's first secretary, recently threw his comrades whom he excluded from Cabinet, a lifeline by promising to give them a monthly salary and other perks that come with their stations at the party's headquarters. But party insiders told the Daily News yesterday that the ruling party, whose businesses are in decay, will have to pay through the nose to bankroll their perks and monthly salaries. Observers also fear that Zanu-PF might take advantage of the party-State conflation to finance its programmes from the fiscus. 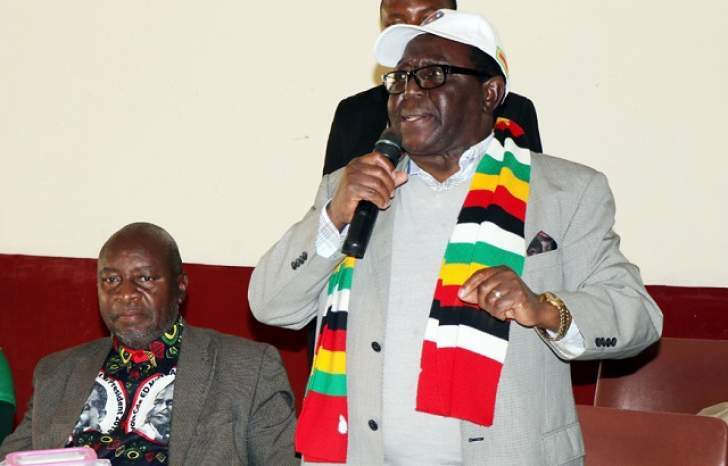 But Zanu-PF spokesperson Simon Khaya-Moyo told the Daily News yesterday that the ruling party has enough funds from subscriptions and various other projects to bankroll the upkeep of the new appointees. He said Zanu-PF has never taken a cent from government to fund its operations. "We have many projects and subscriptions from all over the country which run into millions. The truth is the party has its own funding. We have been funding ourselves and paying our workers all these years. It would, however, not be right for me to comment on what they will be getting; that is a private issue," Moyo said. The recently appointed bigwigs include former Cabinet ministers Khaya Moyo, Patrick Chinamasa, Obert Mpofu, Chris Mushowe, Edna Madzongwe, Paul Mangwana, Simbarashe Mumbengegwi, Mike Bimha, David Parirenyatwa, and Josiah Hungwe together with other Zanu-PF bigwigs that include Douglas Mahiya, Lewis Matutu and Cleveria Chizema. Most are chauffer-driven and have personal assistants. Their all-terrain vehicles, reportedly purchased by a Harare businessman, among other perks match those of full Cabinet ministers. Ministers often get a Mercedes Benz and an all-terrain vehicle when they start their tenure. This comes as Zanu-PF business empires have fallen, crippled by gross mismanagement and corruption. Previous attempts to revive the empire have collapsed after cash advanced to the companies to shore up the stuttering behemoth was allegedly abused. M&S Syndicate (Private) Limited was the holding company for Zanu-PF's public and private companies, including Treger Holdings, Mike Appel, Catercraft, Fibrolite, which closed in December 2004 as well as Zidlee. Zanu-PF also ran Southern African Re-Insurance Company, Zidco Holdings and a commercial bank, whose Democratic Republic of Congo investment also collapsed. Printing & Publishing Company, as well as Jongwe and Nyadzonya farms. A Zanu-PF report of the Committee on Party Investments reveals that the empire is in a mess, with most of the companies severely mismanaged and on the brink of bankruptcy.